The entry of last season’s fan favorite surprised judge Katy Perry. 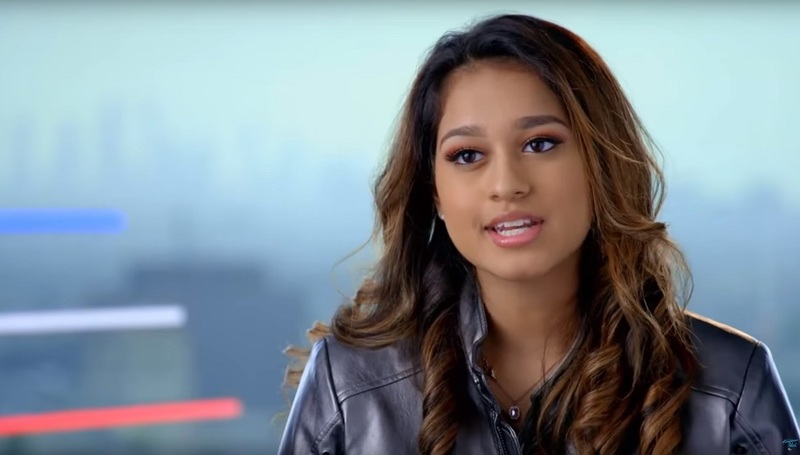 That lovely American Idol contender from last season who taught America the easy way to pronounce her Indian surname Raghu — like Ragu in the pasta sauce — is back on the show and how! Seventeen-year-old Indo-Guyanese American Alyssa Raghu participated in the contest last season and quickly went on to become a fan favorite. She made a dramatic entry on the all-new episode aired this Sunday, when she took judge Katy Perry by surprise. Last year, Raghu created enough fan following both with her music and a vivacious on-stage personality. Her performance of Ariana Grande’s Almost is Never Enough catapulted the singer to instant fame while winning brownie points with the judges. Raghu, who was born in Tucson, Arizona, and lives in Orlando, is of Guyanese Indian descent. She struck a relatable chord with many South Asian immigrants in America, when while introducing herself on the show, she announced to the judges that they can call her Raghu, as in the pasta sauce Ragu. Eliciting instant laughs, the comment also showed how often first-generation immigrants have to deal with questions related to their names. But Raghu’s good humor stuck with the judges and Perry lovingly called her my sauce, or she’s got the sauce through the show. Not only this, Ragu, the pasta sauce company, was quick to join the wit on board and sent the contestants Rahgu merchandise to support her journey through the show. However, Raghu had to bow out of the show last year after not being able to make it to Top 14. But this season, the contestant, who has been homeschooling in order to focus on her singing career, is back with a bang.